Driving in today’s world can be expensive and can take a toll on your truck. But, what is one aftermarket accessory that can help you battle all of the elements? 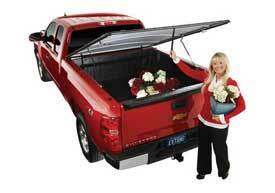 The answer: a Tonneau cover. Tonneau covers are great for improving fuel efficiency, adding extra security, and preventing damage caused by the weather. On top of all that, Tonneau covers are inexpensive, especially when they are compared to all of the damage they prevent. This entry was posted in Tonneau Covers, Trucks & SUVs and tagged extang, Tonneau Cover, truck, truck tonneau cover. Bookmark the permalink.